Brian Injury Care in Atlanta, Marietta GA, Douglasville, and all the Surrounding Areas | Assured & Associates Personal Care of Georgia, Inc. 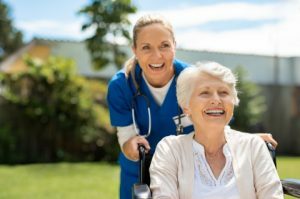 Assured & Associates Personal Care of Georgia can help people who have suffered brain injury and need in home health care in Douglasville, Alpharetta, Marietta, Atlanta or Dekalb. They are a home health care agency and they help look after the elderly, the disabled as well chronically ill patients. They employ qualified and registered nurses who can provide skilled care for people with brain injury as well as spinal cord injury. Loss of consciousness, a dazed or confused state, headaches, migraines, drowsiness, speech problems, loss of balance, loss of coordination, blurred vision, convulsions or seizures, coma and death. Brain injury can affect various facets of the mind such as behavioral changes, cognitive problems, sensory problems, communication problems and more. Brain injuries is an emergency and needs urgent medical care. Doctors use a variety of techniques and procedures to diagnose and assess the situation. These could include basic tests such as the patient’s ability to follow directions as well as advanced imaging and scans. If someone with brain injury needs home care Assured & Associates Personal Care of Georgia can help. In many cases recovery is possible. There are many stories about patients who have recovered from traumatic brain damage. This is often because of the quality or medical care as well as professional in-home health care. A skilled nurse will also closely monitor a patient to observe if there are any new symptoms or worsening of condition.